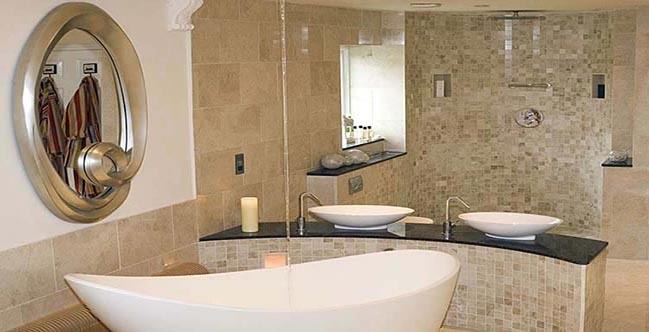 Durham Tiling is a residential and commercial tiling contractor specialising in the fitting of ceramic, porcelain, marble, stone and mosaic tiles. We also provide a full bathroom fitting service. We are based in Durham, in the North East of England and have over 20 years of experience in the trade. We provide a professional and competitively priced service. Durham Tiling is a friendly and reliable company and pride ourselves on our attention to detail, we ensure all our work is completed to the highest possible standards. Many of our customers come from "word of mouth" and are usually recommendations from previous clients. To get an idea of the type of work we do, please visit our "Services" page, where we have a detailed description. To see examples of our previous projects, please visit the "Gallery" were you will find some of our previous bathroom, kitchen and floor tiling projects. To get an understanding of what we are about, and where we have come from, visit the "About Us" page. Should you require any additional information feel free to contact us via telephone or email.